Experiential social media uses service design principles to change the game in customer experience and employee engagement. It helps my clients develop true empathy with people, so they can interact with more care and consideration, which improves employees’ and customers’ feelings about the company—a lot. Experiential social media is not necessarily a business application of social media. It aims to understand people and help them have better experiences by getting what they want, which has immense business benefits. People are constantly striving to reach their goals, online and offline, and experiential social media practitioners are dedicated to empowering people to have more rewarding experiences. Experiential builds trust, preference and business by reversing two common business practices: first, we don’t talk about our client or their products/services because promotion usually feels coercive and reduces trust. Second, we care for people by empowering them to do things that matter to them, things that also correlate highly to our clients’ services/products. When you care for people, they care for you. Relationships built on caring are different, strong, durable. Sticky. People have too much marketing in their lives and not enough caring, so we change that. Experiential social media practitioners use ethnographic research methods to understand people’s behavior. Then they interact with them in digital public with unusual sensitivity and helpfulness, increasing intimacy between a service provider and its users/stakeholders. If you want to see and hear how experiential works, you can watch this video. It’s my best attempt so far at explaining a very intricate process in five minutes! It introduces the importance of thinking like a human. So firms can interact with people in human ways. This requires breaking some widespread business rules that encourage people to MIStrust firms. We study the behavior of the most important people to the organization (“stakeholders”) using agile digital ethnography. We decode their behavior, its social context, and its motivations. Commercial enterprises often focus on the most profitable customers, business partners, or investors. Nonprofits give their attention to donors, volunteers, and partners. Governments usually focus on voters and other branches of government. We identify and analyze two levels of stakeholder behavior in digital social venues: explicit actions (building a patio to have cookouts) and implicit emotional desires that motivate actions (being more popular and increasing social standing). Based on behavioral analyses, we interact with stakeholders to help them have better experiences. Generate and study digital social data to assess the results of our interactions with stakeholders. In some cases, conduct analog experiential research. When practicing experiential social media, we study stakeholders’ behavior and our behavior interacting with them, so we can iteratively improve our value to them. We apply quantitative trust-based metrics to measure and track the quality of relationships between stakeholders and organizations. Based on our interactions with stakeholders and their interactions with each other, we constantly enhance our understanding, value to stakeholders, and effectiveness at empowering them. Increasing trust activates the Trust-Business Chain Reaction. Social business as described in this site uses experiential social media to strengthen business relationships and business outcomes (profit, mission or some other). It also uses social media marketing as a supporting discipline. Experiential social media and social media marketing are “ingredients” of social business. The coefficients vary with each situation, but we emphasize experiential because it’s effective at developing trust and preference, which drive profit in a business context. For an in-depth discussions of their similarities and differences, see Using Social Media and Social Business Together to Evolve experience. Drive to Trust is a new opportunity to develop trust and profit at scale, using experiential social media. Commercial, nonprofit and government firms will be the first among their peers to win the hearts, business and support from their customers, constituents, employees, partners and communities in this limited CSRA initiative. They learn how to interact with people in the very human ways that people crave. Since employees trust them more, they have much higher energy and productivity, while customers have experiences that they love to talk about. 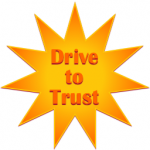 Drive to Trust is the express lane to employee engagement and customer experience. Some of these pioneers will change the rules of their markets. Learn more here. You can learn how to practice experiential social media, social media marketing and social business, step by step, in my new “book.” I started writing it as a book, but I realized that I could serve my readers better by making it an app, so I did. 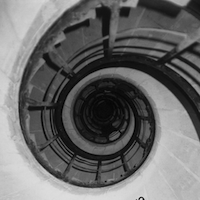 I can’t wait to hear what you think of it because I incorporated experiential design principles into it, and it will probably be a different “reading” experience for you. I made it interactive, so you can learn faster. Even though you can read it as a book, most readers will want to take shortcuts, so I’ve designed “clickstreams” that select short readings and apply them to common social media situations. The Social Channel App beta is available now. Learn more about its features and ongoing development at its main presence on Google+, where it also has a community in which you can ask questions and discuss business challenges that you can address with social business. 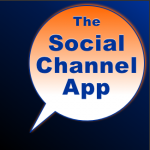 The Social Channel App is also on Facebook, Twitter and LinkedIn. Learn more here. In 2016-2017 CSRA conducted an experiential social media strategy and execution for Columbia College Chicago, and experiential was transformational for them. Read the case study. Conventional brand-focused and content-based social media. Experiential stakeholder-focused and content based social media. Experiential stakeholder-focused and interaction-based social media. I think you’ll find the results extremely interesting. I certainly do! While I have just scratched the surface of your site and look forward to delving into the Social Channel app, I appreciate the well-structured presentation and informed perspective on the role of engaging social interaction. @jason, thanks a lot, I’m glad you like the site! It’s morphed many times since the mid-1990s, and I’m really enjoying blogging again as it’s short-form compared to the #socialchannelapp, which weighs in at 450 pages!